Obituary for Marilyn Beatrice Champagne | Hillside Funeral Services Ltd. 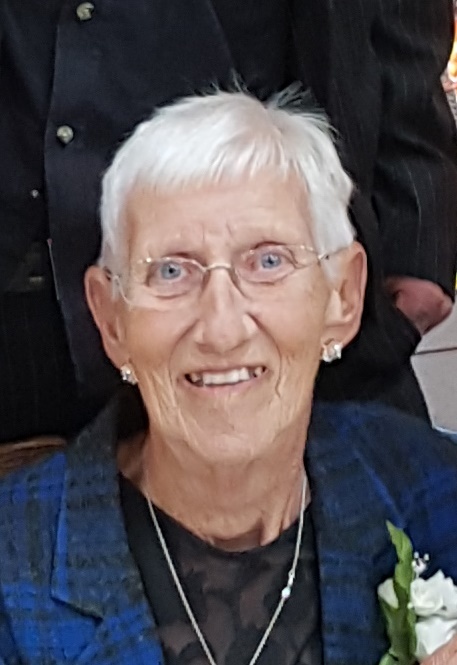 Champagne, Marilyn Beatrice (1937-2019) - The family is saddened to announce the passing of their mother Marilyn on Wednesday April 3, 2019 surrounded by her loving family. Predeceased by her husband Romeo and her mother Iva (Don Wilson - surviving). Cherished mother to Debra, Linda, Don, and Tina. Grand-mother to Brad, Casey, Stacey, Vicki, Randy, Stephen, Dana, Kayla and Matt and many great-grandchildren. Also predeceased by her brother Ron VanDuzen. Marilyn enjoyed being outdoors, camping, tending to her garden and just being with family. She also enjoyed line dancing and we know now she is dancing up in heaven. The family will be receiving friends at HILLSIDE FUNERAL SERVICES, 362 Airport Rd, on Friday April 5, 2019 from 2 until 4 pm and 6 until 8 pm. A celebration of her life will be held on Saturday April 6, 2019 at 10 am at the funeral home. A big thank you to Dr. Yates, the staff of V.O.N. and C.C.A.C. for all the attentive care our mother received. In lieu of flowers donations to the Nipissing Serenity Hospice would be appreciated by the family.